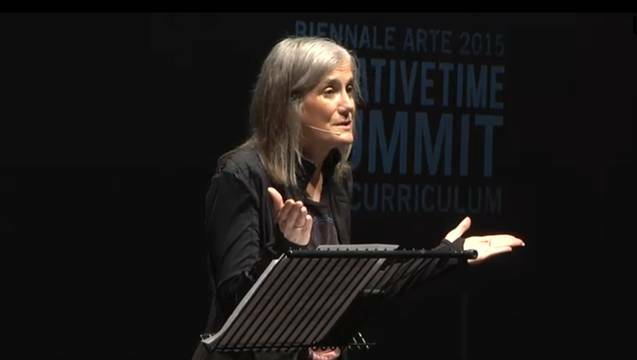 VIDEO: Amy Goodman Delivers Keynote Address to Creative Time Summit at the Venice Biennale | Democracy Now! For much of this week Democracy Now! 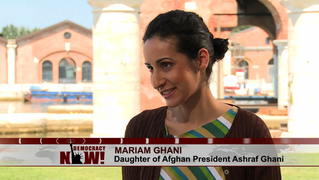 has broadcast from the Creative Time Summit at the Venice Biennale in Italy. We interviewed Okwui Enwezor, the first African-born Chief Curator of Venice Biennale and several artists from around the world. Enwezor has been widely credited for bringing political art back to the 120-year-old festival. On Tuesday, Amy Goodman delivered a keynote address at the conference, which is devoted to exploring the intersection of art and social justice. You can watch her speech below, and all of our coverage highlighted on this page.